Mexican Chicken Casserole - Fast and Easy Dinner Recipe! 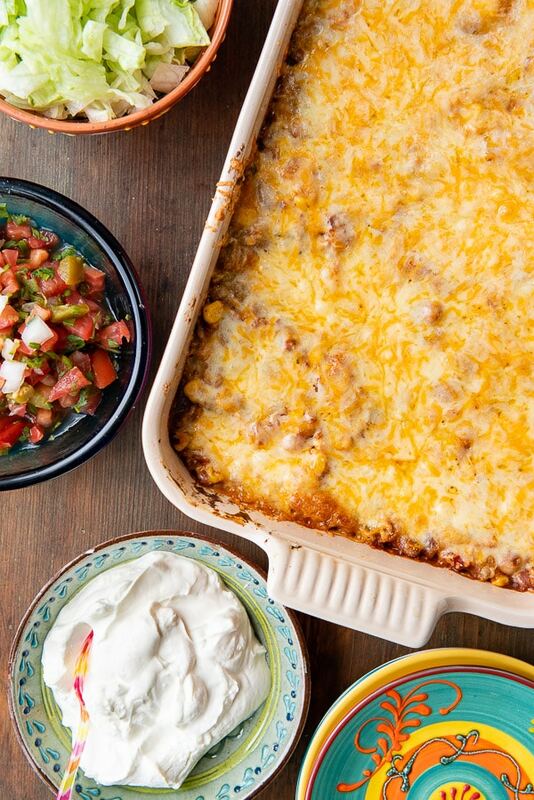 Mexican Chicken Casserole is a hearty, satisfying dinner recipe that’s fast and easy to make! Perfect for serve-yourself gatherings too. Hearty, flavor-packed easy meals are my quest in the kitchen. Certain times of year and in life just don’t afford lots of hours spent over meal preparation. 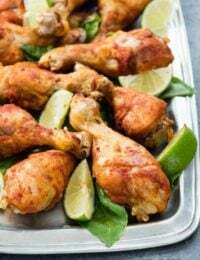 One of my favorite dinners for those times is Easy Mexican Chicken Casserole. It’s full of mouthwatering flavors, all the Mexican ingredients you love but can be whipped up in a flash! 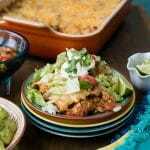 What is Mexican Chicken Casserole? 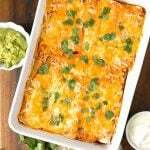 Mexican Chicken Casserole is a layered casserole, with Mexican ingredients, that bakes in 30 minutes. 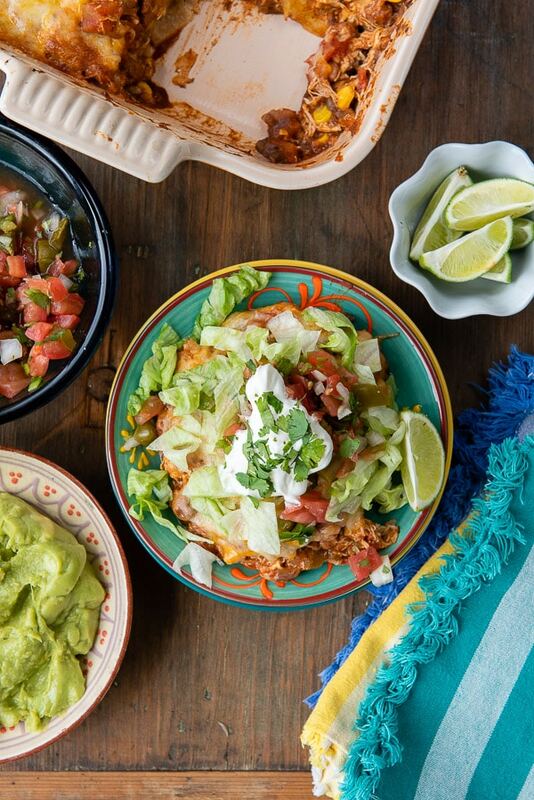 When served it is topped with the same toppings you’d use for tacos giving it a fresh flavor. 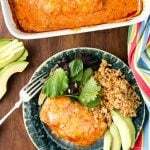 What Are the Ingredients in Mexican Chicken Casserole? Here’s the secret both to the flavors and the speed of pulling this together: most of the ingredients are prepared! TIP: Any of these ingredients can be substituted with homemade ingredients if desired but the Mexican Chicken Casserole is delicious with prepared ingredients! If you have some extra time, I love making shredded chicken at home. It’s always moist and with great flavor. 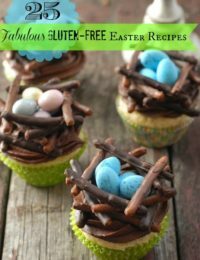 It can be frozen and packaged in 1 cup servings for recipes like this too! 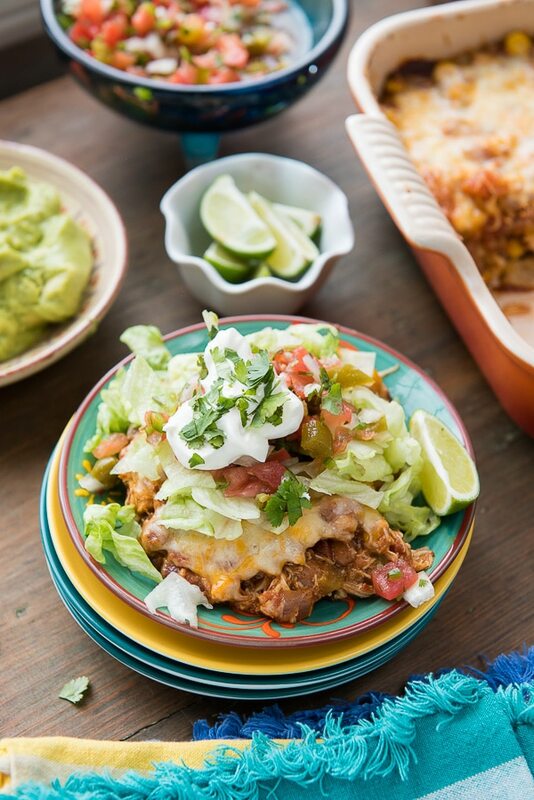 Another option is using this slow cooker taco meat recipe if you want to pack even more Mexican flavors into this Mexican Chicken Casserole. 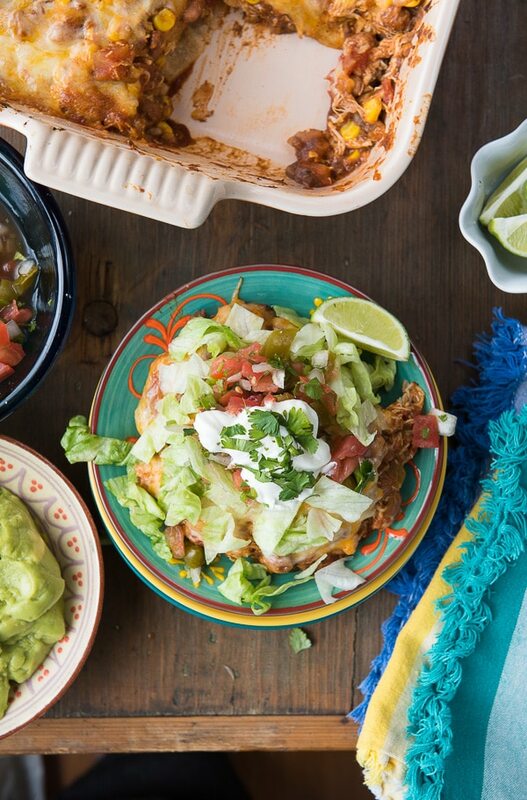 Make this Mexican Chicken Casserole Ahead! Mexican Chicken Casserole can be made ahead of time too. Make it in the morning (leaving off the cheese), covered, refrigerated then cooked (adding the cheese first) at dinner time. Or even make it the day before. The base preparation is about 20 minutes which is usually manageable on even the busiest of days! Great, satisfying comfort food for a relaxed get together that’s easy on the host too! Store leftovers, tightly sealed, for 3-4 days in the refrigerator. 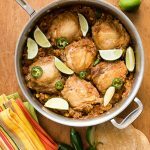 Can Mexican Chicken Casserole be Frozen? It *can* but I’d recommend making it fresh. It’s so quick, and actually faster to make it fresh rather than freezer/thaw and cook it. Wrap it with plastic wrap followed by foil to be sure it’s well sealed. Remove from the freezer and allow to thaw in the refrigerator for 24-36 hours. Bake as indicated in the recipe card. 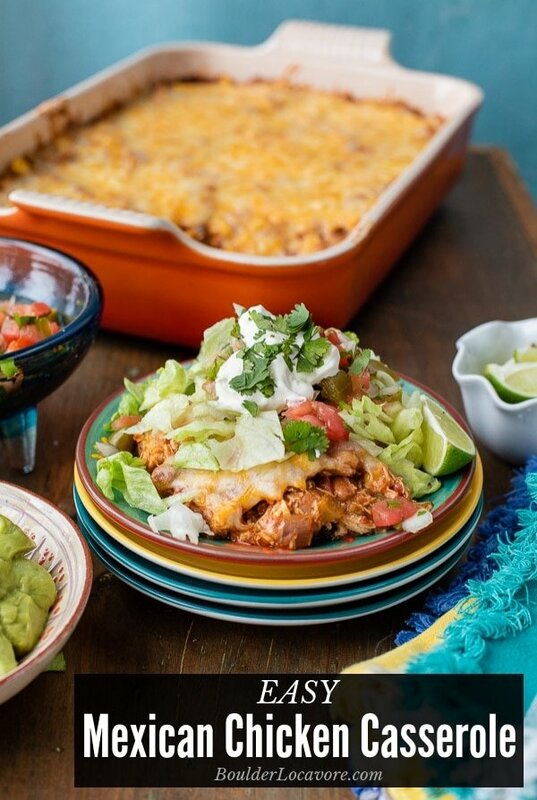 If you’ve made this Mexican Chicken Casserole recipe please RATE THE RECIPE below! This casserole is very easy to make and a delicious, spicy combination of the best of comfort foods! Pour ¾ cup of the enchilada sauce into a 13 x 9 baking dish; spread evenly over the bottom of the pan. Layer the corn tortilla quarters to cover the sauce, overlapping them. Heat the refried beans with 2-3 tablespoons of water, in a saucepan over medium heat or in the microwave covered (for about 2 minutes) until hot and creamy. Spread the refried beans over the corn tortillas in the baking dish. Set aside. In a large non-stick skillet, heat the olive oil over medium high heat and add the chopped onions. Sauté until the onions are softened and translucent; 3-4 minutes. Add the green chilies, pinto beans, chicken, corn, tomatoes, spices and remaining 1 cup of enchilada sauce. Cook over medium heat to fully combine; 2-3 minutes. Spoon the filling into the baking dish spreading it evenly in the pan. Cover with the cheese and bake uncovered for 25-30 minutes until heated through and cheese has melted. Serve with topping options or by itself. The perfect thing to take to New Year’s Eve potluck with the neighbors. Thank you! Tex-Mex is always a good choice! This sounds absolutely delish to this TexMex lover! The best meal for tonight’s busy plans. So doable and tasted great. I love easy, tasty recipes like this! I am a big fan of anything Mexican and this chicken casserole was no exception. It was so good. We throughly enjoyed it. This is what winter eating is all about! I make this casserole for my family all the time!! We love it and it’s so easy to make! I love me a good casserole and this looks AMAZING! 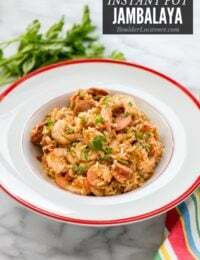 This casserole is perfect for busy weeknights! Love that I can prep it the day before. 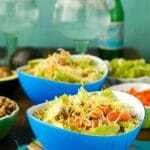 I love this one dish meal, it satisfies our taco craving! I made this for my book club to rave reviews! Thanks for another marvelous recipe! This is outstanding! 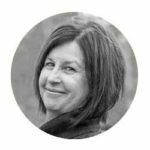 Bring the heat – I can take it 🙂 Sounds like a wonderful trip with your spring-breakers and best wishes for your husband’s new adventure. Having them (husbands) home is always a plus! 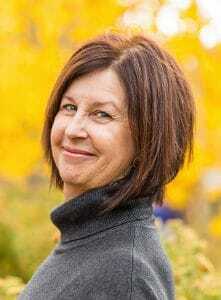 Thank you Tricia! It was a fun exploration with good food, adventure and relaxation. I agree fully on the husbands home thoughts; I feel like I’m getting far more done with some help! 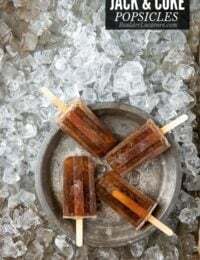 I’m on my way home today from California and I can’t wait to make this tomorrow. I love Mexican food, but I’ve never seen it look so fresh and mouth wateringly delicious. Your cooking muse may be on vacation but your photography is pure High Elven. I think this is an excuse for inviting friends over and having a party! 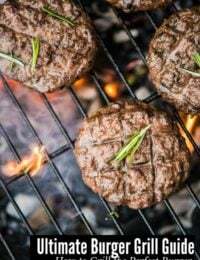 The recipe is easy and toppings can be set out for diners to serve themselves. Easy peasy! 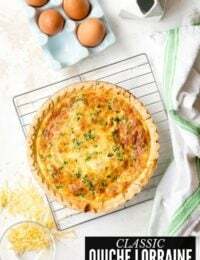 My mouth literally watered as I read through this post – I love how it can be made basically from the pantry! Don’t you love that, Sue? As much as I enjoy cooking, it’s hard on school nights. I love recipes like this that are easy to put together but no one is the wiser! I hope you will Jennifer! It’s very simple but also when one has more time can be made from scratch. Either way we love Mexican food an it is gobbled up in my house! This looks soooooo delicious. I make my own enchilada sauce so I know it’s gluten free – easy and much cheaper, too. That’s great Anne-Marie. I used Hatch’s Red Enchilada Sauce that is labeled gluten-free now. So glad there are also GF options for people to buy; and good brands too! Thank you Toni for the nice recipe. Have a great weekend! Liz you are so welcome! Always love to see a comment from you. Have a wonderful week.